Take heed unto thyself, and unto the doctrine; continue in them: for in doing this thou shalt both save thyself, and them that hear thee.—1 Timothy 4:16. I. A three-fold duty laid on gospel-ministers: "Take heed unto thyself, and unto thy doctrine; continue in them." II. A double advantage consequent upon the discharge of this duty: "For in doing this thou shalt both save thyself, and them that hear thee." 1. Take heed unto thyself.—Thou art set in a high office, in a dangerous place; take good and narrow heed, look well to thyself, thy heart and way. 2. Take heed unto thy doctrine.—Though thou be never so well-gifted and approved both of God and men; though thou be an extraordinary officer, as Timothy was; yet "take heed unto thy doctrine." These two we pass at present, because we shall resume them at greater length, when we take their help to the resolving of this question. (1.) Continue in thy work.—Thou who art a minister, it is a work for thy life-time, and not to be taken up and laid down again, according as it may best suit a man's carnal inclinations and outward conveniences. The apostles, that laboured with their hands, have by that example set the conscience of a minister at liberty to provide for the necessities of this life by other employments, when he cannot live of the gospel; yet certainly no man that is called of God to this work, can with a safe conscience abandon it wholly. Paul, for example rather than necessity, both preached and wrought in a handicraft. As preaching doth not make working unlawful, so neither should any other business of a minister make preaching to cease. (2.) Continue in endeavours after greater fitness for thy work.—No attainments in fitness and qualifications for this work can free a man of the obligation that lies on him to increase and grow therein more and more. It is not enough that a man study and be painful, ere he enter into the ministry; but he must labour still to be more fit for his great work. (3.) Continue in thy vigour and painfulness and diligence.—Young ministers that are sound and sincere before God, are usually warm and diligent in the first years of their ministry; and many do decline afterward, and become more cold and remiss. This exhortation is a check thereunto: "Continue in them." II. The second thing in the words is the double advantage proposed to encourage ministers to this hard duty. 1. Thou shalt save thyself.—Thy own salvation shall be promoted and secured thereby. How becoming is it for a minister to mind his own salvation! and to mind it so heartily as to be animated, from the hopes of it, unto the greater diligence in his ministry! "But how doth faithfulness in the ministry of the gospel further the minister's salvation?" (1.) Faithfulness in a man's generation-work is of great use and advantage to salvation.—"Well done, good and faithful servant," from the Lord's own mouth, is a great security; and diligence and faithfulness in improving the talents [which] we are intrusted with, through grace, procure that testimony. (2.) Thou shalt save thyself from the guilt of other men's sins and ruin, if thou be faithful in the ministry.—"Thou hast delivered," or "saved," "thy soul," saith the Lord to the prophet in the case of unsuccessful faithfulness. (Ezek. 33:9.) So Paul: "Your blood be upon your own heads; I am clean:" (Acts 18:6:) and, "I take you to record this day, that I am pure from the blood of all men. For I have not shunned to declare unto you all the counsel of God." (Acts 20:26, 27.) Every minister pledgeth his soul to God, that he shall be a faithful servant; and he that is such, may freely take up his stake, whatever his success on others be. (3.) Faithfulness and painfulness in the ministry of the gospel promote a man's own salvation, in so far as the work of Christianity is woven-in with the right discharge of the office of the ministry.—Many ministers can say, that if they had not been ministers, they had in all appearance lost their souls. The subject of the minister's work is the same with that of a Christian's; and above all men should he be careful of his heart and intentions, that all be pure and spiritual. No man in any work [that] he is called to, is under so strict a necessity of dependence on the influence and assistance of the Holy Ghost, both for gifts and grace. And are not all these great helps unto our own salvation? 2. The second advantage is, Thou shalt save them that hear thee.—There is little hope of that man's being useful to save others, that minds not his own salvation: and therefore the apostle puts them in this order,—"thyself," and then, "them that hear thee." This description of the people—"them that hear thee"—saith, that the principal work of a minister is preaching; and the principal benefit [which] people have by them, is to hear the Lord's word from them; though there be a "seeing" (that is, of their holy conversation) that is also useful. (Phil. 4:9.) But the apostle knew no such ministers as were only to be seen in worldly pomp and grandeur, and seldom or never heard preaching. Thou shalt save them—The great end of both preaching and hearing is salvation; and if salvation were more designed by preachers and hearers, it would be more frequently the effect of the action. (1.) We find that the Lord hath appointed this great ordinance of the gospel-ministry for this end,—the saving of men. (Eph. 4:11–13. )—It is "through their word" that men believe; (John 17:20;) and divine appointment of the means declares both it to be useful and the end to be hopeful. (2.) He hath also given many promises of his presence, blessing, and success, to follow and attend them whom he sends on this great errand.—Christ's first calling of the apostles had this promise in it: "I will make you fishers of men;" (Matt. 4:19;) which not only declared what that employment was [which] he called them unto, but it assured them of success in it. At his leaving of them, he promised to be with them "unto the end of the world;" (Matt. 28:20;) and this promise is as good to us as it was to them. (3.) He hath also revealed much of his mind about ministers' duty in order to this end of saving men.—This also makes the end more hopeful. (4.) We find that the Lord doth qualify and fit them whom he makes successful.—He makes men "able ministers of the New Testament," the word of life. (2 Cor. 3:5, 6.) And still, according to the success [which] the Lord hath a mind to bless a man with, gifts and qualifications and assistance are proportionably given. The apostles, that had the greatest harvest to gather in, were made the strongest labourers; and, though in a far inferior degree, the same method is observed by the Lord in dealing with and by ordinary ministers. It is true, that always the most able and learned ministers are not most successful; yet generally the most skilful labourers are most blessed: neither are the most learned and able men for parts most fit and skilful in dealing with souls at all times. III. And apply it both to ministers and people. I. What this text speaks about this matter. It looks two ways upon this question. 1. It gives a direct answer unto it, and points forth duty. 2. It gives an encouraging promise of the good effect and fruit of the discharge of the duty. I shall carry on both together. (1.) Take heed that thou be a sound and sincere believer.—The importance of sincere godliness in a minister is written in the deep wounds that the church of Christ hath received by the hands of ungodly ministers. It hath been made a question, "Whether an ungodly man can be a minister;" but it is none, that such men are in a most desperate condition. "Depart from me," not because you ran unsent, or preached error instead of truth, or preached poorly and meanly, (all great sins in themselves,) but because you "work iniquity,"—the usual expression of entire ungodliness. (Matt. 7:22, 23.) What use the Lord may make of the gifts (for great gifts he gives to the worst of men) of ungodly men, even in the ministry of the gospel, is one of his deep paths. But no man can reasonably imagine, that a walker in the way to hell can be a fit and useful guide to them that mind to go to heaven. If a man would have peace in his conscience, and success in his work of the ministry, let him take good heed to this,—that he be a sound Christian. There is a special difficulty for a minister to know his grace: gifts and grace have deceived many with their likeness; although the difference be great both in itself and to an enlightened eye. (i.) If the heart be filled with a single desire after the great end of the ministry,—the glory of God in the salvation of men.—Every work that God calls a man to, he makes the end of it amiable. This desire sometimes attends men's first conversion: Paul was called to be a saint and an apostle at once; (Acts 9;) and so have many been called to to be saints and ministers together. If it be not so, yet this is found with him that Christ calls,—that when he is most spiritual and serious, when his heart is most under the impressions of holiness, and he is nearest to God in communion with him; then are such desires after the serving of Jesus Christ in the ministry most powerful. And the sincerity of his desire is also to be examined; and when it is found, it adds greatly to a man's peace; when his heart bears him witness, that it is neither riches, nor honour, nor ease, nor the applause of men, that he seeks after, but singly Christ's honour in the saving of men. (3.) Take heed unto thyself, that thou be a lively, thriving Christian.—See that all thy religion run not in the channel of thy employment. It is found by experience, that as it fares with a minister in the frame of his heart and thriving of the work of God in his soul, so doth it fare with his ministry both in its vigour and effects. A carnal frame, a dead heart, and a loose walk, make cold and unprofitable preaching. And how common is it for ministers to neglect their own vineyard! When we read the word, we read it as ministers,—to know what we should teach, rather than what we should learn as Christians. Unless there be great heed taken, it will be found that our ministry and labour therein may eat-out the life of our Christianity; not that there is any discord betwixt them, but rather a friendly harmony, when each hath its place and respect. The honest believer meditates, that he may excite his grace; and ministers too often meditate only to increase their gifts. When we preach, the sincere hearer drinks-in the word; and, it may be, we seldom mix faith with it, to "grow thereby." O, how hard is it to be a minister and a Christian in some of these acts! We are still conversant about the things of God; it is our study all the week long: this is our great advantage. But "take heed to thyself," lest ordinary meddling with divine things bring on an ordinary and indifferent impression of them; and then their fruit to thee, and thy benefit by them, are almost gone and hardly recovered. (4.) Take heed unto thyself in reference to all the trials and temptations [which] thou mayest meet with.—Be on your guard; "watch in all things." (2 Tim. 4:5.) No men are shot at more by Satan than ministers; and he triumphs not more over the foils of any than theirs: and Christ is liberal in his warnings of dangers, and in his promises of help in them. (1.) Take heed unto thy doctrine, that it be a divine truth.—"Let a man speak as the oracles of God." (1 Peter 4:11.) And therefore it is needful that ministers be well acquainted with the holy scriptures. [It is] a bad token of the temper of that man that relishes any book more than the word of God. The world is full of books written on pretence and design to explain the scriptures, and men's studies are full of them; there is also a blessing in them, and good use to be made of them. But also a bad use is made of them; many ministers have found that they have preached better and to more profit to the people when they got their sermon by meditation on the word and prayer, than by turning over many authors. From this neglect of the word also come a great many doctrines, that are learned by man and borrowed from philosophy; which though they may have some truth in them, yet since it is divine truth that a minister should bring forth to the people, he should not rest on such low things. (2.) Take heed unto thy doctrine, that it be plain, and suited to the capacity of the hearers.—"Learned preaching," as it is called, is a vanity, pleasing principally to such as neither design nor desire edification. True godly learning consists in preaching plainly; and therein is no small difficulty. Two things would help to plain preaching: (i.) Clearness of knowledge.—The alleged depth of our doctrine often proceeds from our own darkness. (ii.) Humility and self-denial.—We must not seek ourselves nor the applause of men, but God's glory and men's salvation. It is found that the holiest ministers preach most plainly, and the plainest preachers are most successful. (3.) Take heed unto thy doctrine, that it be grave and solid and weighty.—"Sound speech, that cannot be condemned." (Titus 2:8.) Deep and weighty impressions of the things of God upon a man's own heart would greatly advance this. A minister's spirit is known in the gravity or lightness of his doctrine. II. But now we come to the second thing proposed,—to give some answer to this question from other things in the word. And I shall, (I.) Show some things that must be laid to heart about the end,—the saving of souls; (II.) And then shall give some advice about the means. 1. The exceeding height and excellency of this end is to be laid to heart.—It is a wonder of condescendence, that the Lord will make use of men in promoting it: to be workers together with God in so great a business, is no small honour. The great value of men's souls, the greatness of the misery they are delivered from and of the happiness they are advanced to, with the manifold glory of God shining in all, make the work of saving men great and excellent. Preaching the gospel, and suffering for it, are services that angels are not employed in. Mean and low thoughts of the great end of the ministry, as they are dissonant from truth, are also great hinderances of due endeavours after the attaining [of] the end. 2. The great difficulty of saving souls mast be laid to heart.—The difficulty is undoubted: to attempt it, is to offer violence to men's corrupt natures, and a storming of hell itself, whose captives all sinners are. Unless this difficulty be laid to heart, ministers will be confident of their own strength, and so miscarry and be unfruitful. Whoever prospers in winning souls, is first convinced that it is the arm of Jehovah only [which] can do the work. 3. The duty of winning souls must be laid to heart by ministers.—That it is their principal work, and they are under many commands to endeavour it. It is a fault to look on fruit only as a reward of endeavours; so it is, indeed, and a gracious one: but it should be so minded as the end [that] we would strive for; (Col. 1:28;) which, when attained, is still to His praise; yet most commonly, when it is missing, it is to our reproach and danger, when it is—as, alas! it is often—through our default. 4. The great advantage there is to the labourer by his success is to be pondered.—Great is the gain by one soul: "He that winneth souls is" happy as well as "wise." (Prov. 11:30; Dan. 12:3.) Won souls are a minister's "crown and glory and joy." (Phil. 4:1; 1 Thess. 2:20.) How far is this account above all others that a man can give of his ministry! These things, fixed upon the heart, would enliven us in all endeavours to attain this excellent end. 3. It would further the winning of souls, to deal particularly and personally with them.—Not always nor altogether in public. (Col. 1:28; Acts 20:20, 21.) Great fruit hath constantly followed the conscientious discharge of this duty: the setting of it up in Geneva did produce incredible fruits of piety, as Calvin reports; when the ministers and some of the elders went from house to house, and dealt particularly with the people's consciences. And we are not without many instances of the fruit of this mean in our own time and in these nations. Blessed be the Lord for the labourers and their success! 4. Ministers must pray much, if they would be successful.—The apostles spent their time this way. (Acts 6:4.) Yea, our Lord Jesus preached all day, and continued all night alone in prayer to God. Ministers should be much in prayer. They use to reckon how many hours they spend in reading and study; it were far better both with ourselves and the church of God, if more time were spent in prayer. Luther's spending three hours daily in secret prayer, Bradford's studying on his knees, and other instances of men in our time, are talked of, rather than imitated. Ministers should pray much for themselves; for they have corruptions like other men, and have temptations that none but ministers are assaulted with. They should pray for their message: how sweet and easy is it for a minister (and likely it is to be the more profitable to the people) to bring forth that scripture as food to the souls of his people, that he hath got opened to his own heart by the power of the Holy Ghost in the exercise of faith and love in prayer. A minister should pray for the blessing on the word; and he should be much in seeking God particularly for the people. It may be, this may be the reason why some ministers of meaner gifts and parts are more successful than some that are far above them in abilities:—not because they preach better, so much as because they pray more. Many good sermons are lost for lack of much prayer in study. But because the ministry of the word is the main instrument for winning souls, I shall therefore add somewhat more particularly concerning this; and that both as to the matter and manner of preaching. 1. For the subject-matter of gospel-preaching, it is determined by the apostle expressly to be "Christ crucified." (1 Cor. 2:2.) Two things ministers have to do about Him in preaching Him to them that are without: (1.) To set him forth to people; (Gal. 3:1;) to paint him in his love, excellency, and ability to save. (2.) To offer him unto them freely, fully, without any limitation as to sinners or their sinful state. And then Christ's laws, or will, [are] to be published to them that receive him and are his, for the rule of their walk; and his promises, for the measure and foundation of all their hopes and expectations; and his grace and fulness, for their supply in every case, till they be brought to heaven. This was the simplicity of the gospel, that remained but a little while in the Christian church; for ceremonies amongst the Jews, and sinful mixtures of vain philosophy amongst the Gentiles, did by degrees so corrupt the gospel, that "the mystery of iniquity" ripened in the production of antichrist. (Col. 2.) It was a sad observation of the fourth century,—that it, became a matter of learning and ingenuity to be a Christian. The meaning was, that too much weight was laid on notions and matter of opinion, and less regard had unto the soundness of the heart and holiness of the life. In the beginning of the Reformation from Popery, the worthies whom God raised up in several countries did excellently in retrieving the simplicity of the gospel from the Popish mixtures; but that good work took a stand quickly, and is on the declining greatly. How little of Jesus Christ is there in some pulpits! It is seen, as to success, that whatever the law doeth in alarming sinners, it is still the gospel-voice that is the key that opens the heart to Jesus Christ. Would ministers win souls? let them have more of Jesus Christ in their dealing with men, and less of other things that never profit them that are exercised therein. 2. As for the manner of successful preaching, I shall give it in a negative and positive from these two places:—1 Cor. 1:17; and 2:1–4. (1.) What this negative disowns, is our inquiry: the words are full: "For Christ sent me not to baptize, but to preach the gospel: not with wisdom of words, lest the cross of Christ should be made of none effect." Again: "And I, brethren, when I came to you, came not with excellency of speech or of wisdom, declaring unto you the testimony of God." Again: "And my speech and my preaching was not with enticing words of man's wisdom." These are the words of the Holy Ghost concerning a way of preaching that is unprofitable; a way that, [it] seems, was in use and respect with the Corinthians; and honest Paul was despised by them for his simple and plain way, different from theirs. I shall only instance in things that this scriptural negative doth check and reprove in the way of preaching. (i.) The establishing and advancing of divine truth upon the foundation of human reason.—As if there were some weakness and insufficiency in those methods and arguments of working on men's consciences, that the Holy Ghost prescribes. The great foundation of all [that] a minister hath to say is, "Thus saith the Lord;" and a grave "declaring of the testimony of God" in this matter is ministers' duty, (1 Cor. 2:1,) and will have more authority on men's consciences than many human reasons. 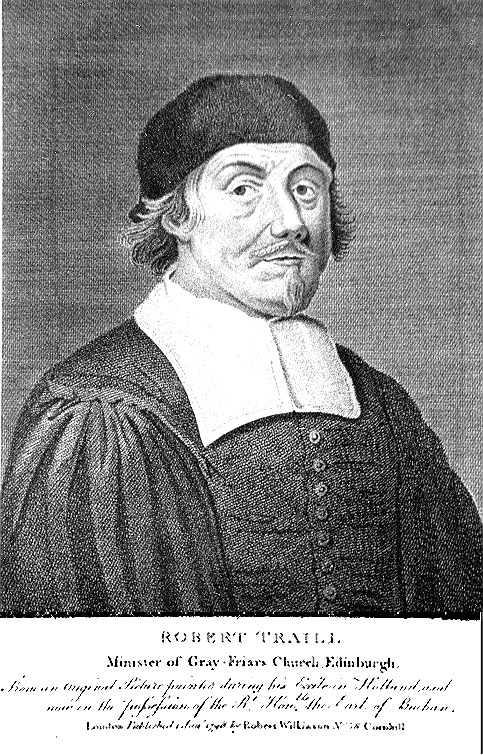 There is a "rational preaching," as it is called, wherein men do not satisfy themselves to make use of reason as a tool and instrument, (and then its use is excellent,) but will establish it as a judge and dictator in all divine matters and truth; and so in effect turn all their preaching into little better things than the lectures of the philosophers of old; save that the poor Pagans were more sincere in their morals, and serious in delivering their opinions. Let a minister, therefore, still think with himself, that a plain scripture-testimony is his main argument; and accordingly let him use it. When he teacheth philosophy, and when he teacheth men the will of God about salvation, he is in distinct provinces; and his management of his work therein should be very different. (ii.) It is to preach "with excellency of speech" and "words of man's wisdom," when men think to reach the gospel-end on sinners by force of even spiritual reason and persuasion.—This corrupt thought riseth in some from an imagination that moral suasion is all that is needful for converting a sinner: and in some this thought rises on a better account; the light of the glory of God in the gospel shines so brightly in upon their own hearts, that they fall into this conceit,—that no man can stand before that light which they can hold forth; Melancthon's mistake at first, till experience made him wiser. Hast thou a clear knowledge of gospel-mysteries, and the word of exhortation is with thee also, so that thou art qualified to urge, beseech, and plead warmly with sinners on Christ's behalf? Take heed of this snare, lest thou think that thy wisdom and gifts can promote and carry on the gospel-design on men. (iii.) This also is checked in the apostle's words,—the setting forth the beauty of the gospel by human art.—The truth of the gospel shines best in its bare proposal, and its beauty in its simple and naked discovery. We may observe, from church-history, that still, as soundness of doctrine and the power of godliness decayed in the church, the vanity of an affected way of speaking and writing of divine things came in. Quotations from the fathers, Latin and languages, are pitiful ornaments unto preaching, if a man design conversion and soul-edification. And yet more despicable are all playing on words, jinglings, and cadences; which things are, in all the rules of true eloquence, justly exploded; and yet some men reckon much on them. But would any man think his friend in earnest with him, that would accost him in any affair with such sort of language and gesture? (i.) Paul preached so, as gave a demonstration that the Holy Ghost was in him, sanctifying him.—This is a plain and blessed thing: happy is the minister that manageth his work so, that if the hearers get not a demonstration of great parts and learning, yet they have a demonstration of the sanctifying Spirit of God in the minister. (ii.) Paul preached so, as gave a demonstration that the Spirit of God was with him, assisting and helping him in his work.—Even when he was amongst them "in weakness, and in fear, and in much trembling." (Verse 3.) Happy is the minister that can preach this way; he must be a depender upon assistance from the Holy Ghost. (iii.) Paul preached so, as [that] a demonstration of the power of the Holy Ghost was given to the hearts of the hearers.—The Spirit of God so wrought on them by his power in and by Paul's preaching: "Commending ourselves to every man's conscience in the sight of God." (2 Cor. 4:2.) This is the principal thing to be aimed at, and it is the proper source of all profitable preaching. Men, brethren, and fathers, you are called to a high and holy calling: your work is full of danger, full of duty, and full of mercy. You are called to the winning of souls; an employment near akin unto our Lord's work,—the saving of souls; and the nearer your spirits be in conformity to his holy temper and frame, the fitter you are for, and the more fruitful you shall be in, your work. None of you are ignorant of the begun departure of our glory, and the daily advance of its departure, and the sad appearances of the Lord's being about to leave us utterly. Should not these signs of the times rouse up ministers unto greater seriousness? What can be the reason of this sad observation,—that, when formerly a few lights, raised up in the nation, did shine so as to scatter and dispel the darkness of Popery in a little time; yet now, when there are more and more learned men amongst us, yet the darkness comes on apace? Is it not because they were men "filled with the Holy Ghost and with power," and many of us are only filled with light and knowledge and inefficacious notions of God's truth? Doth not always the spirit of the ministers propagate itself amongst the people? A lively ministry, and lively Christians. Therefore be serious at heart; believe, and so speak; feel, and so speak; and as you teach, so do: and then people will feel what you say, and obey the word of God. 1. Pity us.—We are not angels, but men of like passions with yourselves. Be fuller of charity than of censure. We have all that you have to do about the saving of our own souls, and a great work besides about the saving of yours. We have all your difficulties as Christians, and some that you are not acquainted with, that are only ministers' temptations and trials. 2. Help us in our work.—If you can do any thing, help us in the work of winning souls. "What can we do?" say you? O, a great deal: be but won to Christ, and we are made. Make haste to heaven, that you and we may meet joyfully before the throne of God and the Lamb. Nichols, J. (1981). Puritan Sermons (Vol. 3, pp. 199–210). Wheaton, IL: Richard Owen Roberts, Publishers.